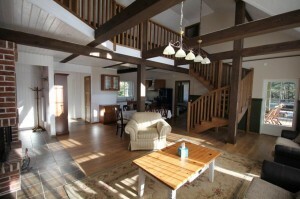 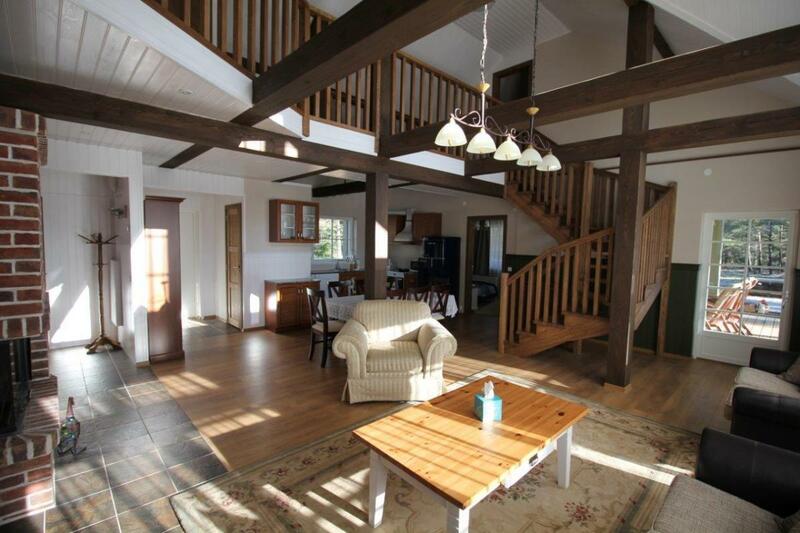 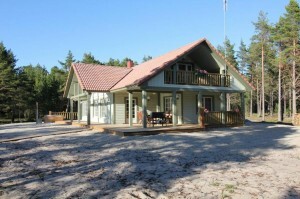 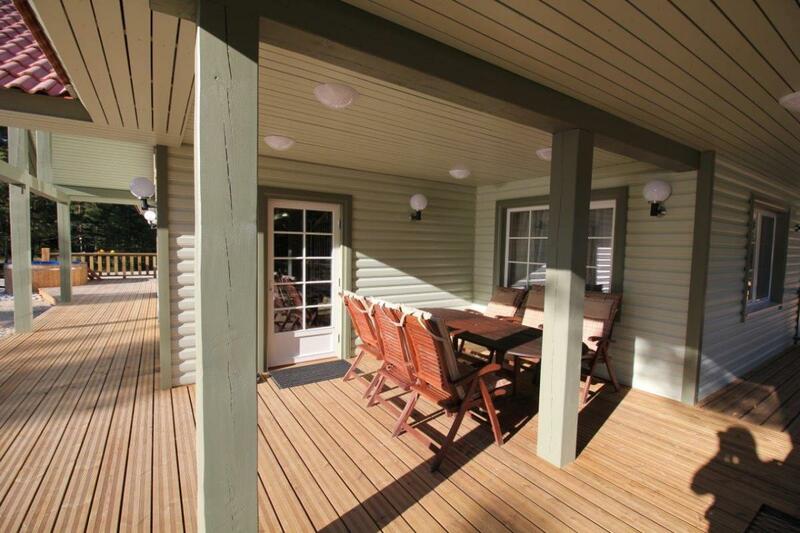 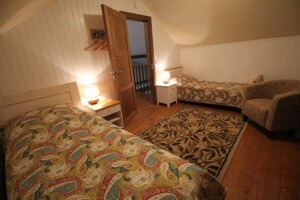 There are four bedrooms in the villa, which are meant to accommodate seven people. 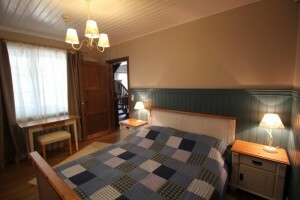 A large and spacious bedroom is located on the first floor, with the opportunity of storing clothes in the drawers as well as sleeping in a king-size bed. 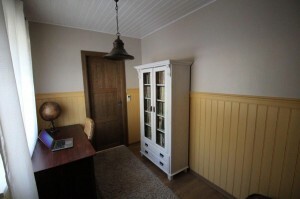 A cabinet is also located on the first floor, which can be used as a bedroom. 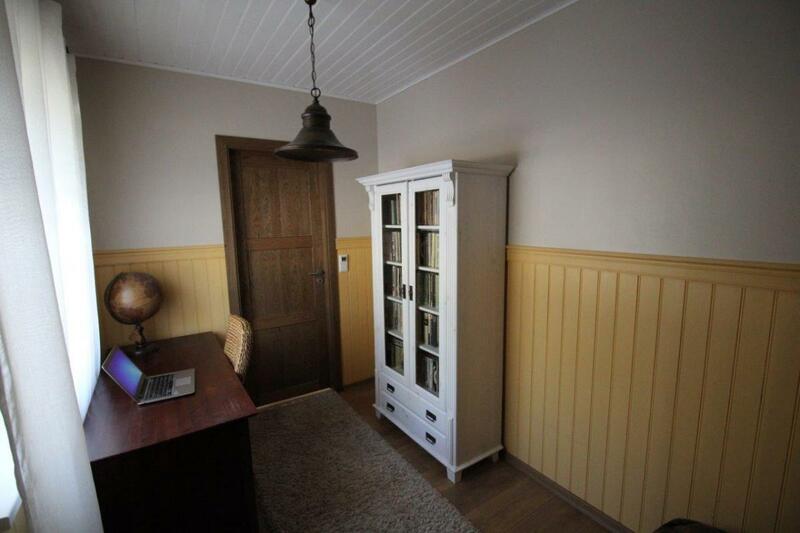 Cabinet is the perfect place for working, as well as clearing one’s mind from other activities. 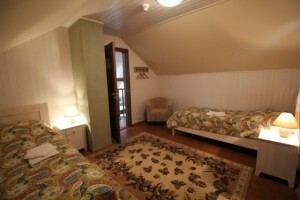 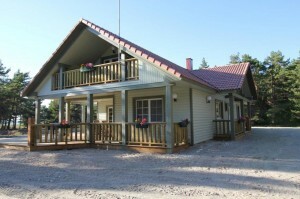 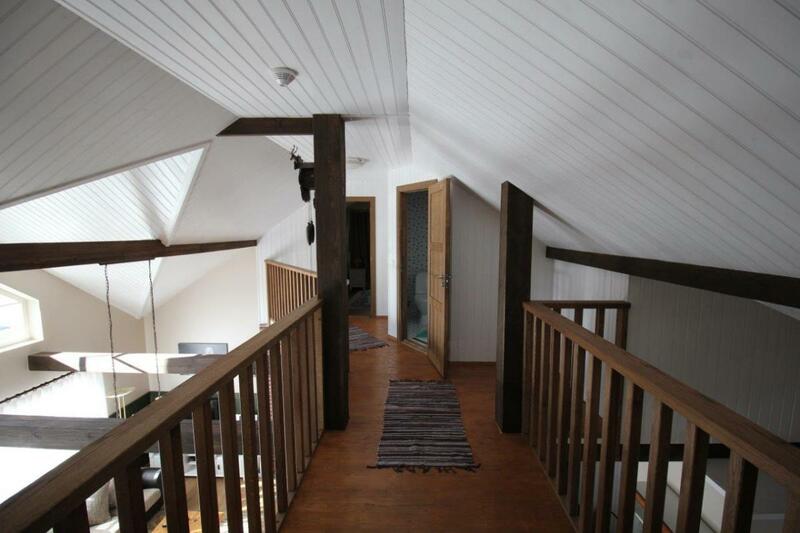 There are two bedrooms, which are located on the 2nd floor. The beds on the 2nd floor are single beds, which can be united according to wish and desire. 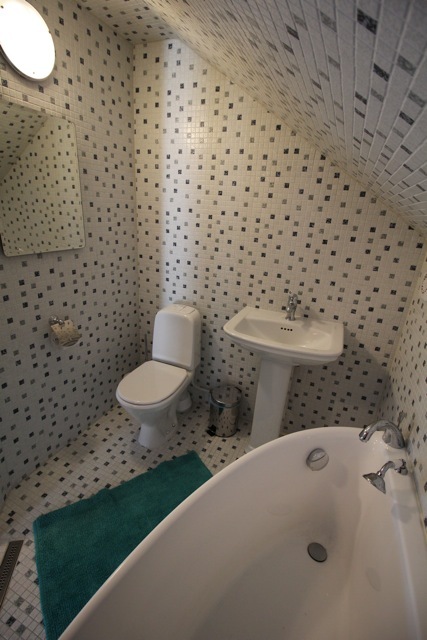 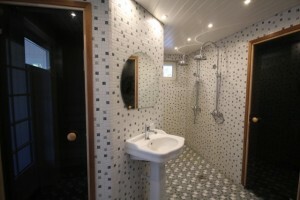 There is a bathroom on the second floor as well, giving the guests more privacy. Both bedrooms on the second floor have their own private balconies, where guests can drink their morning coffees or simply listen birds singing. 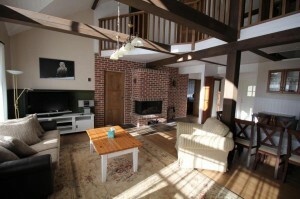 The living room is open between two floors, which makes it easy to communicate with family and friends. 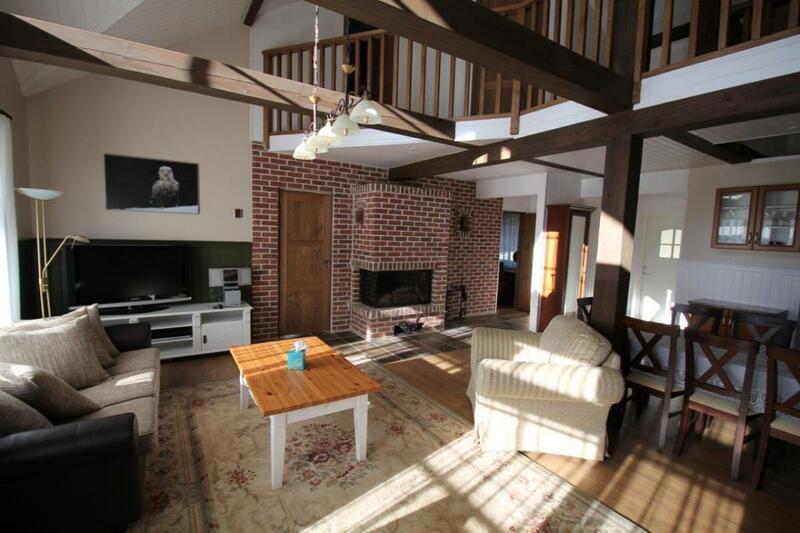 There is a large fireplace in the living room, where during cold winter nights and chillier summer nights, guests can read books and enjoy the warmth coming out from the fireplace. 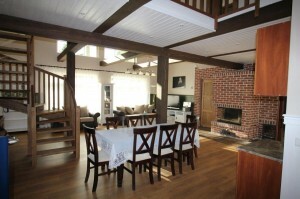 Kitchen includes a large dining table, where all the guests can enjoy their breakfast, lunch and dinner together. 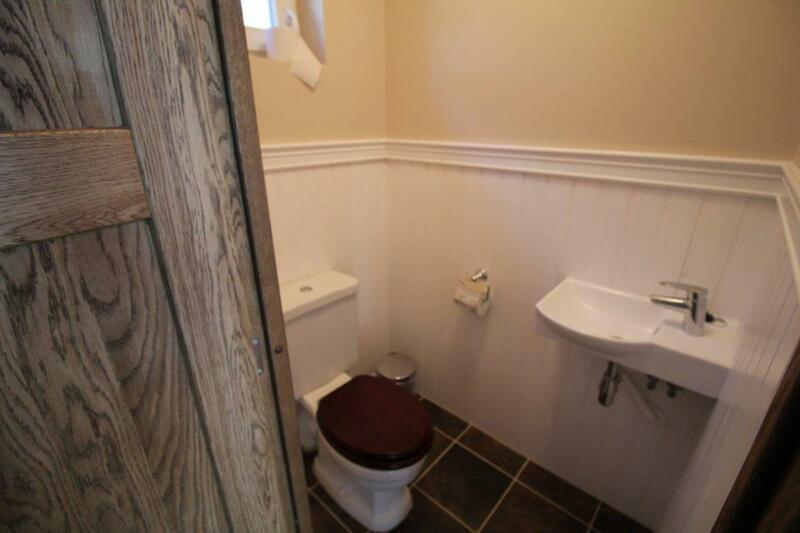 The kitchen has everything one needs for cooking and serving dishes. 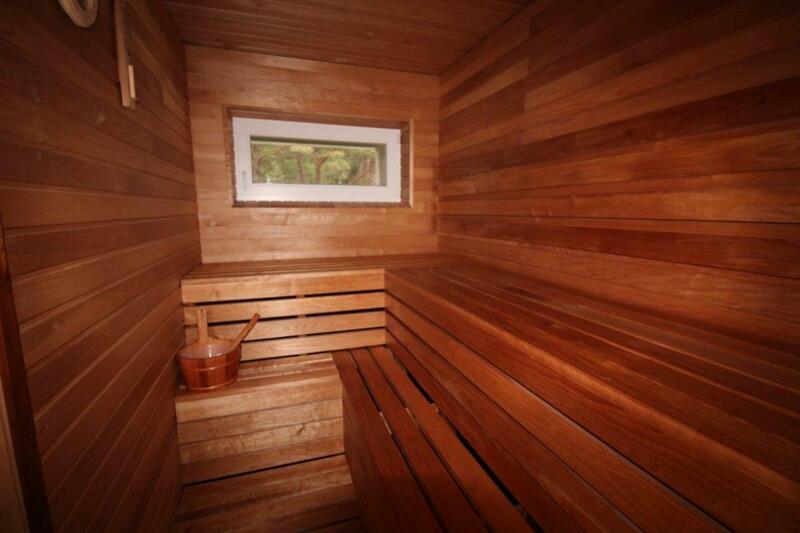 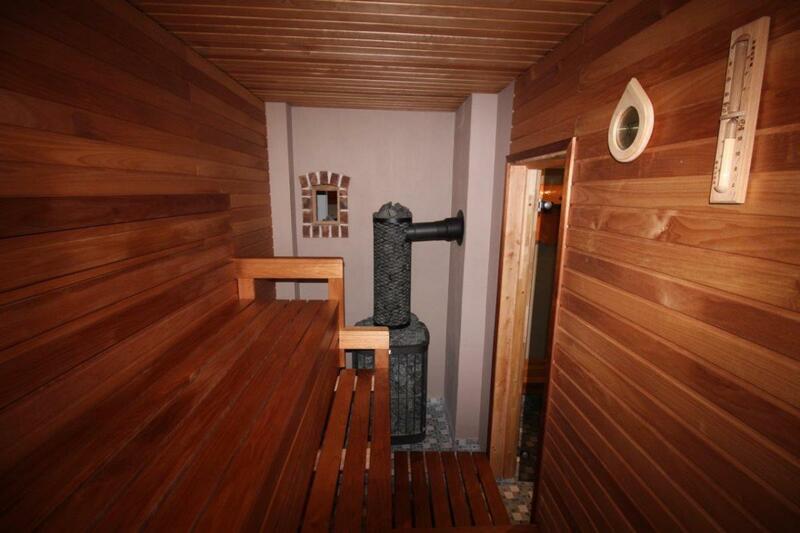 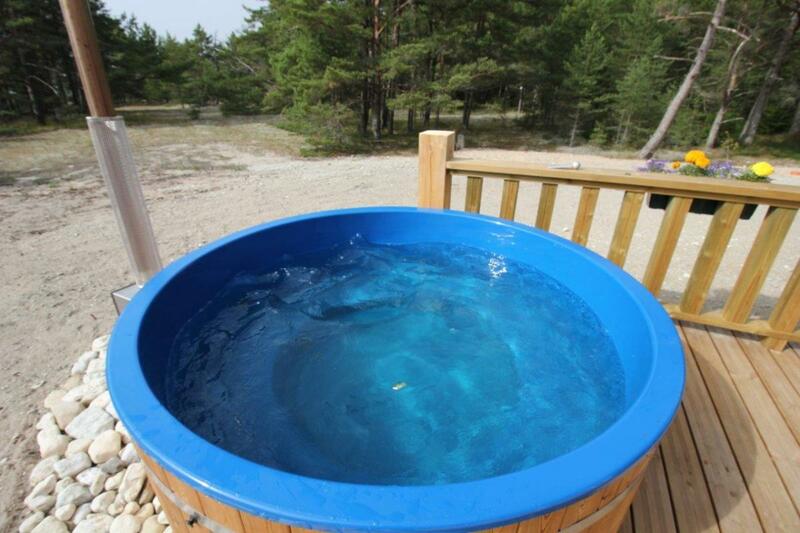 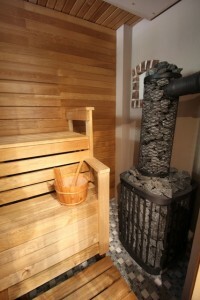 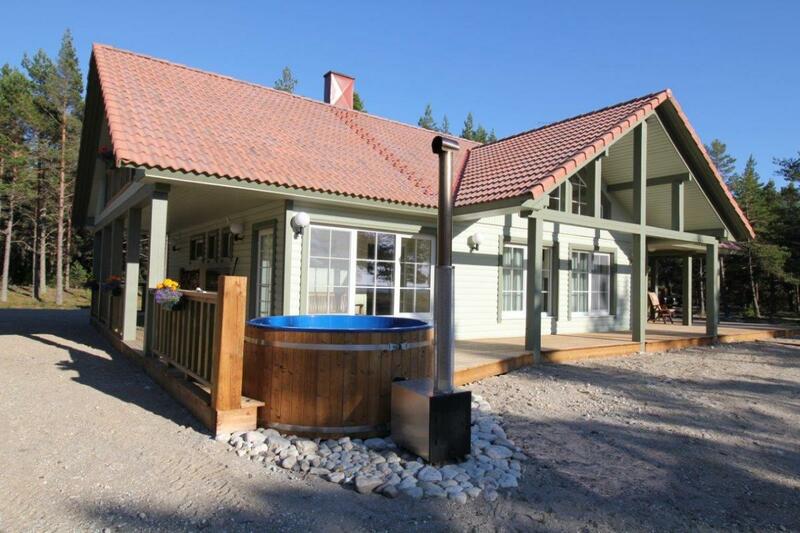 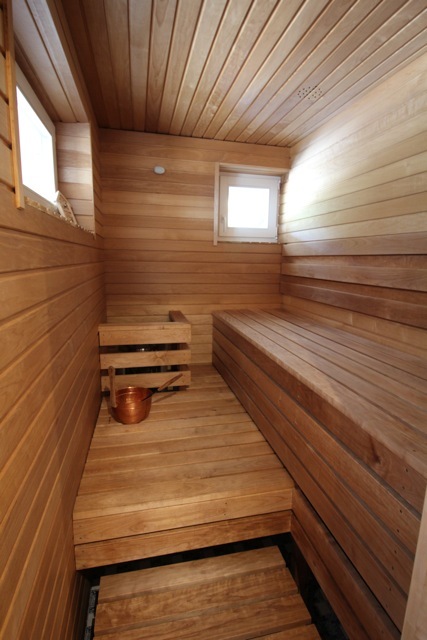 There are two saunas in the villa- one, which is heated with electricity is meant for guests, who want to enjoy smaller company and then the classic sauna, which is heated with wood and is meant for guests, who want to enjoy themselves in a bigger group of people. 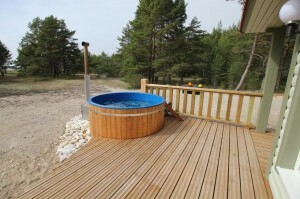 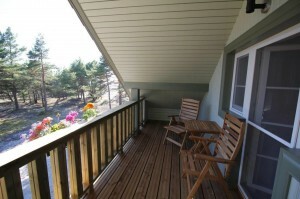 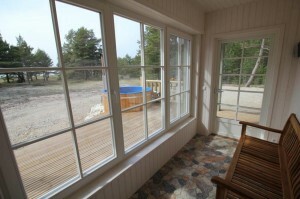 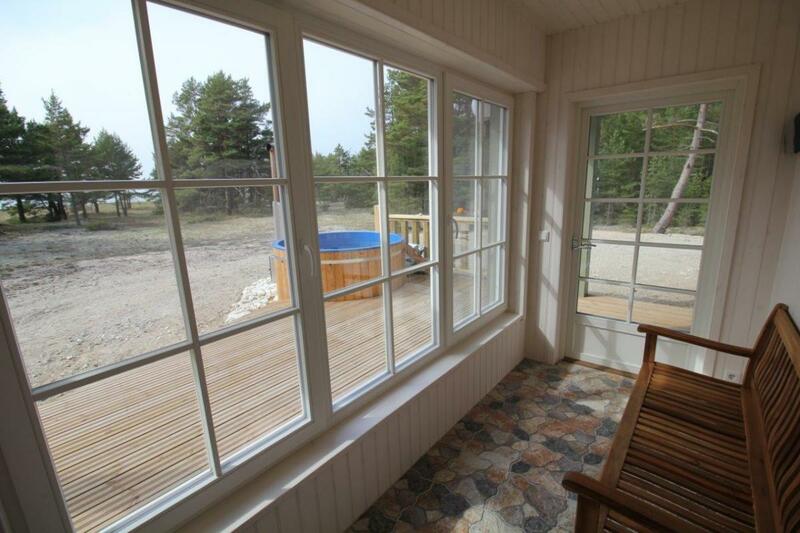 Guests can go directly from sauna to the terrace, where they can relax and enjoy the view of the sea. 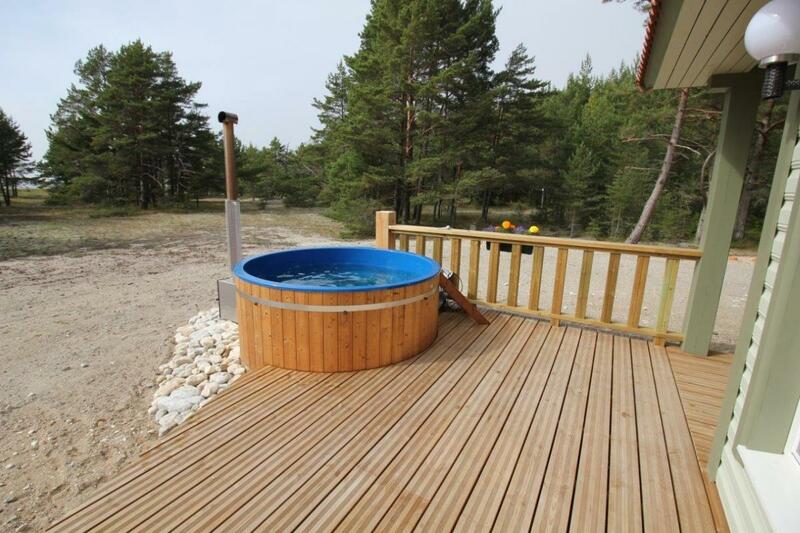 There is a hot tub on the terrace as well, which offers its’ guest real pleasure, irrespective of the weather or time of the year. There is a grill and furniture on the terrace, which during spring, summer and autumn offer its’ guests the opportunity to grill and enjoy the company of their friends and family.